There are two versions of Paul McCartney – not in the sense of a ‘Paul is dead’ conspiracy, but the two warring instincts in his songwriting. The first McCartney is one of pop’s great innovators and a songwriter with much more in common with John Lennon than his critics give him credit. The second, and more dominant in recent years, is a pathological crowd-pleaser. The tension between these instincts is what’s made his best songs so dynamic, but throughout his solo career, the balance has been off. On one end, he’s produced experimental oddities such as 1980’s McCartney II. At the other, saccharine pop tat like ‘Ebony & Ivory’. Egypt Station is the latest attempt then to reconcile these two sides and an admirably ambitious, albeit messy, return of McCartney’s creative ambition. The album’s paper-thin conceit is that each song is based at a different station on a long-distance journey, harking back to the ‘album albums’ he pioneered with The Beatles. In practice, this just gives McCartney free rein to try out whatever sounds take his fancy. It means Egypt Station finds time for introspective piano ballads, seven-minute multi-genre epics and determinedly low-brow pop. The result is the sharpest and most engaging McCartney record in a long while, but also the most ill-disciplined. Rather than blend his instincts for experimentation and crowd-pleasing, McCartney chooses to compartmentalise so there are two versions of Egypt Station playing out at once. One is his boldest and most interesting album in decades, best represented by its lengthy closing songs and a genuinely odd bossa nova update (‘Back in Brazil’). Unfortunately, the many highlights on Egypt Station are cancelled-out by poorly-judged takes on modern radio pop and unnecessarily ill-fitting raunchiness. ‘People Want Peace’ is McCartney at his most insufferably vague, ‘Come On To Me’ forces us to imagine a 76-year-old Macca on the pull, while ‘Fuh You’ is a childish attempt at provocation wrapped up in bland, anodyne arena-pop production. These moments are unfortunate because when McCartney takes a more graceful, stately approach to his song-writing, he is often excellent. ‘Confidante’ is a graceful Beatles-esque ballad which could have slipped neatly onto any of his past records and ‘I Don’t Know’ is a sweet acknowledgement of his uncertainty in older age. McCartney’s writing is unmistakeably traditional on these songs but production work from pop stalwart Greg Kurstin gives them extra bite and colour. Although the song-writing on Egypt Station can feel somewhat workmanlike at times, as if he is retracing comfortable ground, there is enough invention and creativity on offer to convincing argue that there is worth in hearing a new Paul McCartney album in 2018. It has never been entirely clear why McCartney doesn’t make more experimental records in his later life and cash in on decades of goodwill, especially as the best songs on Egypt Station are the ones which feel least desperate to be liked. He could easily take a route like David Bowie did in his later years, but this is where the biggest problem with the two McCartneys lies. The uncomfortable truth is that Paul McCartney probably does like ‘Ebony & Ivory’ as much as ‘Paperback Writer’, even if much of the world might disagree. 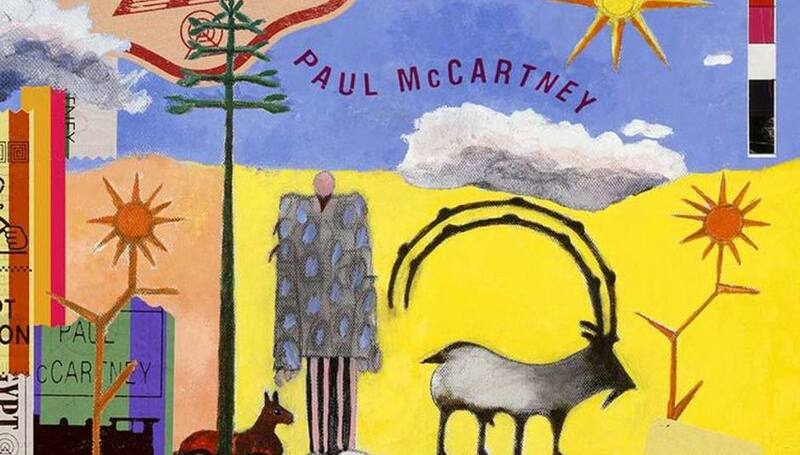 Egypt Station is easily one of the most forward-thinking records of McCartney’s later career and a surprisingly welcome return. We might wish he could be more thoughtful and elegant in his older age, and maybe even a little bit cooler, but that wouldn’t make him Paul McCartney. Thankfully, he generally keeps his groan-worthy impulses to a minimum.